See who is at your door, whether you’re inside or halfway around the globe. In addition to cameras, these doorbells offer two-way communication, so you can tell that deliveryman to leave your package by the door. These Wi-Fi-enabled speakers not only let you queue up your favorite jams on demand, but many also come with smart assistants, like Amazon’s Alexa, Google’s Assistant or Apple’s Siri. Thanks to special lightbulbs and switches, you can turn lamps, overhead fixtures or exterior lights on with a simple voice command. Ever been to the grocery store and forgotten if you needed eggs? With smart refrigerators, you can get a virtual peek inside your fridge from anywhere, so you’ll always know exactly what you have on hand. 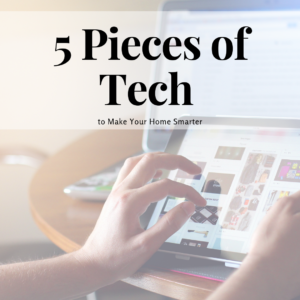 Instead of outsourcing your home’s security, smart security systems allow you to take the DIY route with sleek sensors, battery backup systems and command centers that allow you to monitor your home 24/7 wherever you are.